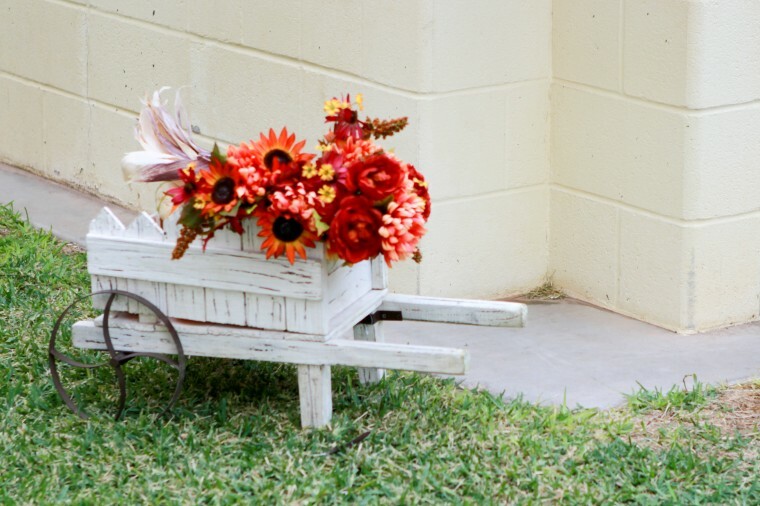 Take this wheel barrow, add lots of quirky pumpkins and 97 small children – one at a time. Still recovering. Wow, no wonder you chose some Wayne’s World therapy. I bet the pics of the kiddos are adorable. Cute wheelbarrow though! Bet the kids’ pictures turned out cute, too! Wow, I just had a really scary nightmare where you had 97 kids and a bunch of pumpkins you had to take pictures of. Wait…that was real? !